Belgium Horse Directory - O Horse! In Dutch, French, and English. Quarter horse breeding farm situated in the beautiful Belgian Ardennes. Home of Justa Tad Rad (Radical Rodder x Speedy Glow). Our broodmares are daughters of f.e. Dont Skip Zip, Impulsions, Dress Western, Dynamic in the Dark, etc. Belgian Warmblood horses. Belgian stud farm for more than 20 years! There are usually several young horses for sale. Compagnie Hackamores is a Belgium based troupe founded in 2000. Activity range runs from jousting shows to historical equestrian sports workshops (skill at arms, jousting, mounted archery, ground combat) organized in the heart of medieval Europe. The Compagnie is the Belgian affiliate for the International Jousting League and takes part in tournaments and jousts around the world all year long. If you're looking for a unique experience, come visit us, get in a jousting suit, and run down our lists! Belgische vereniging van Ezelliefhebbers. Hier vindt u alle informatie over het houden en verzorgen van ezels. Bovendien vele nationale en internationale links. 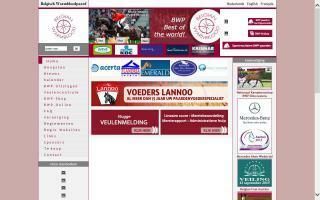 Equihorse is a equestrian directory for Belgium (Europa). Equihorse offers a database with information about stolen or missing horses in Europe. Easy to consult and free of charge. Register the data of your stolen horse, and do not hesitate to spread the link to the site around you. Consult the information in the database before buying a horse! Horses for sale in Belgium. 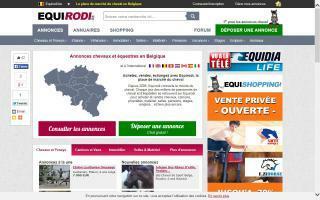 Equirodi.be is a horse marketplace for everything equestrian in Belgium. With Equirodi.be, horse enthusiasts in Belgium can browse, buy, sell, and advertise horses for sale, stallions at stud, ponies, equestrian businesses, horse trailers, livery yards, horse vacations, riding equipment, and much more. 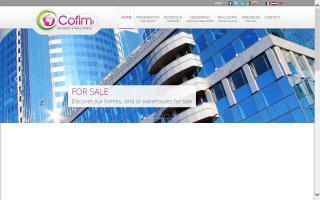 Adverts are FREE on Equirodi.be.